CHARLESTON, SC (PRWEB) AUGUST 22, 2016– As the threat of a recession in the latter quarters of 2016 continues to loom over the U.S., it’s important to prepare transportation businesses to sustain any potential impact. The telling signs of an inevitable economic slump are visible not only via the ongoing turbulence in other emerging markets as well as through looking to major predictors including the Dow Theory (covered in a previous PEOPLEASE article), but also in examining historic economic downturns, including those surrounding presidential terms. The nation’s largest trucking and transportation PEO, PEOPLEASE serves hundreds of transportation customers across 45 states, managing more than 15 thousand co-employees. Having been in the industry for over 22 years, PEOPLEASE has guided countless companies through tough times and formulated the six steps below to help steer trucking businesses away from hardship and towards success. 1) Don’t wait until the recession hits. Start bracing for impact now. There were no warnings prior to the implosion that was the Great Recession and 2008 took everyone by surprise. Remain vigilant and stay ahead of the curve by proactively preparing for tough times to come. Take a holistic approach at your company and identify areas that have the potential to provide a reliable cushion should things take a turn for the worse. Though the pending recession is likely to be milder than the one eight years ago, ignorance in the case of a recession is anything but bliss, so act now. Once again, remember 2008. Some regions were less impacted, and ratios between full and mixed loads varied and changed. Assess your company’s offerings and see whether demand exists more prevalently in certain areas. An account by account review may make sense to highlight areas where ancillary offerings make sense or room exists for price increasing. Services and geographic areas that garner steady and consistent interest may afford organizations room to grow and maintain stability in an unstable economic climate. Solidifying relations with staff, clients and partners is always a good idea, but having the right people in place is especially wise with a recession on the horizon. One of the best ways to conduct a temperature check and strengthen relationships is through listening. A well-managed survey tool to measure both staff engagement and productivity, as well as client satisfaction, is a good start to securing a company as one that employees and clients want to stay with when the going gets tough. Review any survey results with an open mind and take action on feedback where it makes sense to do so. Transparency and open lines of communication go a long way in fortifying rapport and trust, and retaining the best players and partners is critical in surviving economic downturn. 4) Make your company lean. Drop unproductive capital by examining investments and revenue. Taking a hard and honest look at accounts (as referenced in #2) and cleansing the books may point to areas in which risk is too high, and those accounts may need to be trimmed or eliminated in order to better focus resources, energy and possible expansion elsewhere. It may also be wise to maintain a close relationship with accounting and financial resources who have their finger on the pulse of your business. Individuals in these critical roles often have the best insight to clients’ overall health and value. Open, forward thinking conversations early on amidst the onset of a recession can be invaluable and afford agility and flexibility in the event sudden changes are required. Taking precautions allows for quick and responsive movement without being taken by surprise. Expand access to capital, lines of credit, and cash resources. Check in with lenders, debtors and creditors to remain fully aware of the financial scorecard. Do so early and often. With interest rates as low as they presently are, this may be a good time to consider offloading old equipment and purchasing new and updated trucks, etc. While spending may seem counter-intuitive, old equipment has little value in a recessionary period and proved to be more of a liability and encumbrance than an earner in 2008. Updated and reliable vehicles are money savers as they provide reliability and don’t require the maintenance time or expenses of older equipment. Furthermore, updated equipment will spare companies the hassles and costs resulting from the gaps in safety that are inevitable with dated trucks. Extended payment terms should also be evaluated as a preventative measure in the face of a recession. 7 to 9% faster growth! Since December 2004, employment at small businesses using PEOs has grown more than 7 percent faster than at small businesses overall, according to the Intuit Small Business Employer Index. 10 to 14% lower employee turnover! The average overall employee turnover rate in the United States is approximately 42 percent per year, based on 2012 data. It is 28 to 32 percent for companies that used PEOs for at least four quarters. 50% less likely to go out of business! Businesses that use PEOs are approximately 50 percent less likely to fail (permanently go “out of business”) from one year to the next when compared to similar companies in the population as a whole. The overall business failure rate among private businesses in the United States as a whole is approximately 8 percent per year, based on 2012 data. It is approximately 4 percent per year for those companies that used PEOs for at least four quarters. Nothing can be more important than acquiring solid Human Resources, Accounting, Payroll, Taxes and Risk Management strategies to help support and protect what you have worked so hard to build. A comprehensive plan around these areas is an example of where PEOPLEASE can step in to lighten the load. PEOPLEASE understands the challenges and difficulties faced in running business, and is here to help. 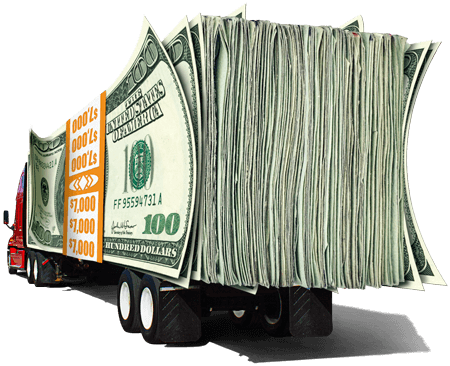 PEOPLEASE’s services and programs have been specifically designed to serve trucking businesses- and are proven to be successful. PEOPLEASE is a people-helping-people business, and the company’s rapid growth is the result of an in-depth understanding of the transportation industry, and reputation for outstanding customer service. The goal of PEOPLEASE is to provide solutions that allow companies to increase profitability, maximize productivity and reduce risk, cost and time. Equip your company with the tools necessary to weather a recession by letting PEOPLEASE specialists show how other companies have been able to thrive with customized solutions. *The above article is not intended to be legal or financial advice and is for general information purposes.